Palmer Memorial Episcopal Church in Houston has a war memorial at the back of its nave. Flanking the doors that lead out of that worship space is a paneled, oak screen that lists the names of parishioners who served in the United States armed forces during World War II. Gold lettering highlights the names of those who died in that conflict. There is also a shelf for flowers on each side of those doors. 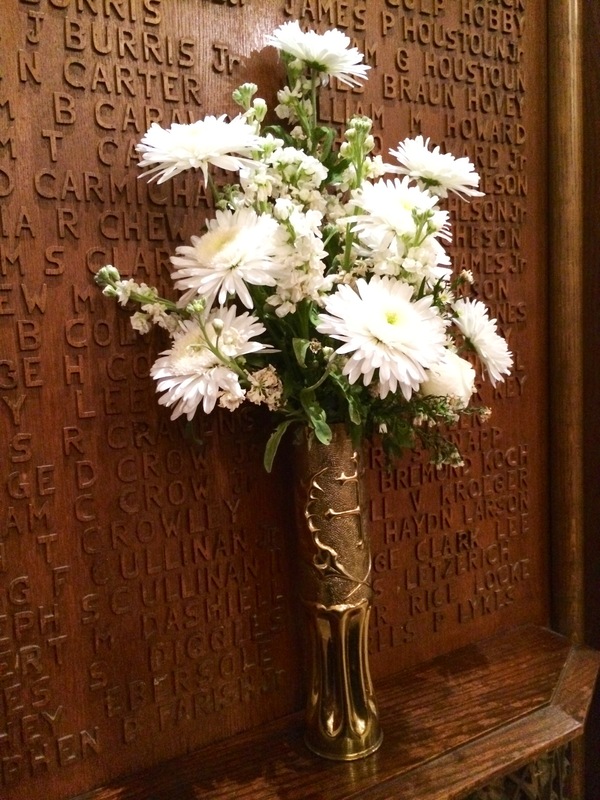 Flowers adorning those shelves are placed in vases that were made out of artillery shells. In days to come the mountain of the Lord’s house shall be established as the highest of the mountains, and shall be raised above the hills; all the nations shall stream to it. Many peoples shall come and say, “Come, let us go up to the mountain of the Lord, to the house of the God of Jacob; that he may teach us his ways and that we may walk in his paths.” For out of Zion shall go forth instruction, and the word of the Lord from Jerusalem. He shall judge between the nations, and shall arbitrate for many peoples; they shall beat their swords into plowshares, and their spears into pruning hooks; nation shall not lift up sword against nation, neither shall they learn war any more. O house of Jacob, come, let us walk in the light of the Lord!